We’ve hit the turning point. Cloud is now mainstream, and it’s on the rise. We’ve hit the turning point. IDC predicts that by 2020, over two-thirds of enterprise IT spend will go on cloud-based offering. Cloud is now mainstream, and it’s on the rise. Businesses are realising that to stay on the cutting edge, they need infrastructure that can support growing data loads coupled with a much faster pace of working. Only cloud can enable them to collaborate, brainstorm new ideas, and roll out these ideas in a matter of hours. Cloud has evolved to support the ambitions and the day-to-day operations of modern businesses. It enables the creation of new applications and the development of new business models, as well as improved efficiencies, service levels and data protection for existing workloads and applications. It’s clear cloud has become a key enabler for strategic success—but not everyone’s cloud journey looks the same. Different businesses have different ambitions, and their journeys are rarely as straightforward as just deploying servers and virtual machines into a cloud. When starting your journey to the cloud, there are a lot of different routes to choose, and it can be difficult to know which one to take. Whether you choose a public, private, or hybrid cloud, there’s the potential to introduce multiple cloud providers into your enterprise, helping you get the right mix of cloud services for your business. To choose the right service provider (or a mix of providers), it is critical to carefully define your specific business outcomes right at the outset. An outcome-based roadmap will help you identify what a successful cloud journey looks like for your business. Then you need to think about what you need to get there. With your business outcomes always front of mind, you can make sure your service provider can help you overcome the challenges you might face in your cloud journey. Optimisation – clouds evolve. Your business evolves. So a partner should be there to help optimise your cloud platforms. When you find a service provider that can deliver on all these criteria, you’ll be in a strong place to execute your cloud strategy. But, even once your cloud infrastructure is ready to go, you’ll still want to think carefully about how it will process, manage, and secure your data. Without the right data protection measures in place, your business could face fines for non-compliance with data protection laws—as well as brand damage for putting confidential data at risk. It’s important to make the distinction between data privacy, security and sovereignty so you know what to look out for when assessing a cloud service provider. Privacy means ensuring your business knows what information it’s collecting, what it’s doing with it, who can access it, and whether people accessing data have the legal right to view that information. When data privacy goes wrong – especially when handling customer and employee data – the potential fines, loss of revenue, and tarnished brand reputation can be significant. That’s why it’s essential to identify whether your service provider can maintain your data access policies, as well as give you a clear understanding of the data you’re collecting, and who can access it. Security supports data privacy, but they’re not to be mixed up. Privacy protects data from unauthorised access, while security involves keeping your data safe from attacks, damage, and theft. If a cybercriminal makes it through your defenses, your data could become damaged and unusable or end up in the wrong hands to be misused. Ensuring your service provider has a solid security foundation in place is crucial to keeping your data safe. Sovereignty is all about where data is stored, and what laws apply to protect it. Particularly if you work in a heavily regulated industry or in the public sector, there could be a range of regulations you need to comply with that demand any data you store remains within your country. It’s a critical factor to consider when choosing a service provider because you need to know not only where your data is stored at all times, but also where it’s backed up. 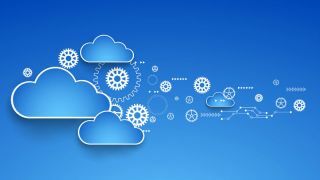 Cloud computing is increasing in uptake and will only continue to do so. However, there isn’t a one-size fits all, approach to cloud adoption. Each business journey to the cloud will be determined by your individual position, existing levels of adoption and appetite for change. The most important thing is to find a provider that checks all the boxes. However, this can be challenging- there’s a lot to think about, and a huge range of providers to choose from. But, there are ways to make the journey simpler- through working with a holistic approach, multi-cloud expertise and end-to-end capability, you can retain focus on the all-important business objectives that your cloud journey must support.